Playing beside his identical twin brother, Jerry, both at Delphos St. John’s High School and Findlay College, Jim Carder had an amazing four years of success. The 5-foot-10 Carders played a fast-paced game, scoring inside and outside. In their three years as starters, St. John's had a 53-16 record. The Bluejays were 20-4 in 1963-64 after losing to Lexington in a regional semifinal. They averaged 81 points per game. Carder was merely honorable mention on the 1964 Associated Press All-Ohio team, but he showed that he might have been underrated by scoring a record 34 points in the North-South All Star game in Marion. In Carder's four years at Findlay, the Oilers averaged a remarkable 95.3 points per game while compiling a 72-32 record. They exceeded 115 points 11 times. Jim Carder scored 2,079 points and broke the school scoring record of 1,707 set by another Delphos product, Harold “Herk” Wolfe, in 1953. 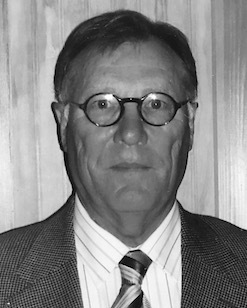 Jim Carder was inducted into the University of Findlay Hall of Fame in 1982, the Hancock County Hall of Fame in 1995, and the National Association of Intercollegiate Athletics (NAIA) Hall of Fame in Kansas City, Missouri in 2007. In 2010, he was inducted into the Delphos St. John's High School Hall of Fame.